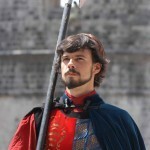 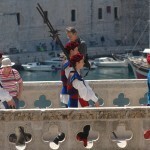 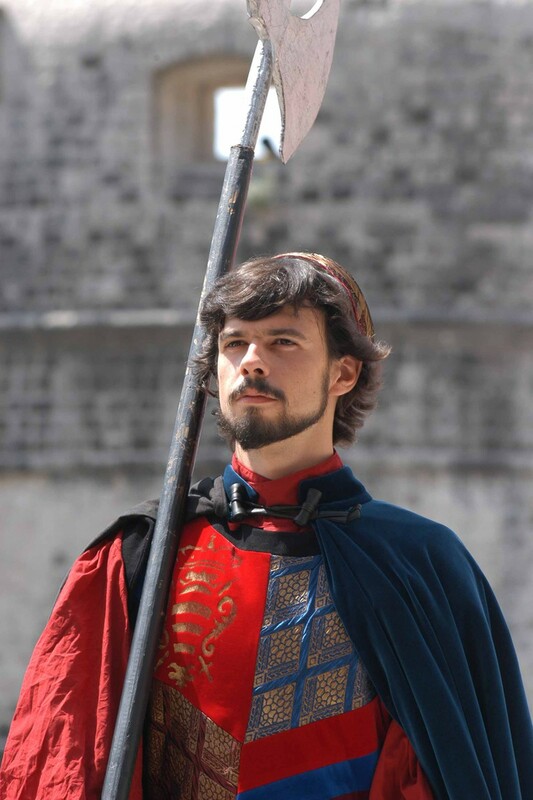 Thursday saw Dubrovnik’s ceremonial guards return to the Old Town to once again watch over the entrances to the walled city and march along the Stradun much to everyone’s delight. 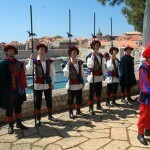 The guards will for the remainder of the summer be ‘on duty’ from 7 30 pm for two hours. 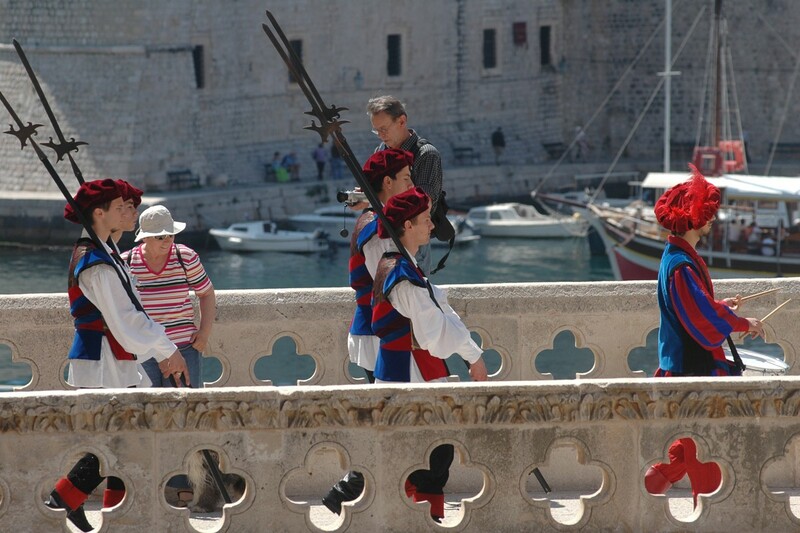 Visitors to the city shouldn’t miss the chance to see them in their beautiful costumes designed by renowned theatre costume designer Danica Dedijer. 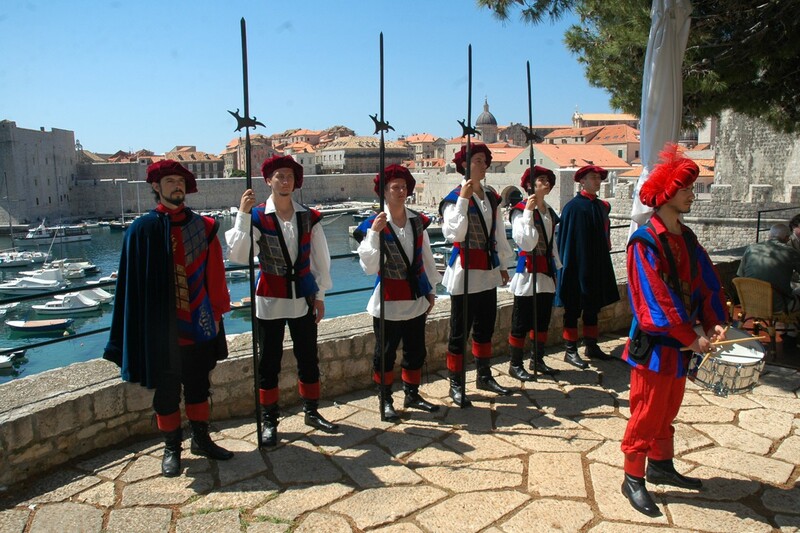 Back in the time of the Dubrovnik Republic guards in red uniforms with black belts would stand guard outside the Rector’s Palace and would follow the Rector on his official visits outside of the Palace. 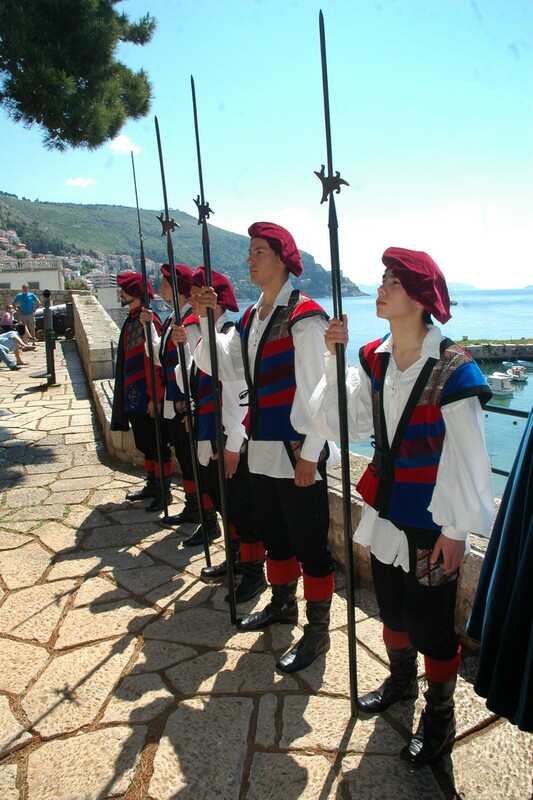 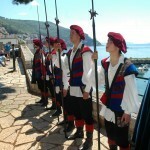 Dubrovnik was the first city in Croatia to bring guards back as a tourist attraction in 2005 and was quickly followed by Zagreb and Split, who brought gladiators back to the Roman city.